In the instructional video Travis Dorsch will be your personal coach. He will share the secrets that made him the most prolific kicking and punting combination specialist in college football history! Step-by-step sound fundamental techniques of both kicking and punting. 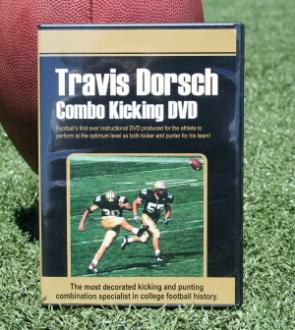 In our training video now you can learn sport specific training exercises designed for kickers and punters!